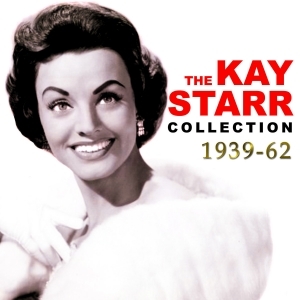 Possibly one of the most recognisable voices from what might be called the Golden Age of popular music must surely be that of Kay Starr. With an almost imperceptible vibrato, Kay's distinct, straightforward, incisive approach to a song was unlike that many contemporaries, and ensured a long career which encompassed big band, jazz, pop, country and easy listening recordings alike. This 4-CD collection traces the first and most active period of that career, spanning almost a quarter of century, as she developed from big band singer to chart-topping hitmaker. The anthology pulls together 114 recordings from her earliest recordings for Bluebird with Glenn Miller, through her waxings for Decca, early Capitol, Jewel, Crystalette and Coronet before her long-term relationships with Capitol and RCA, and also includes some transcription recordings. These were the recordings which established a huge fan following who admire not only her distinctive voice but her renowned glamorous persona – a fan base which lasts to this day, when in 2013 at the age of 91 she is still performing. It is a marvellous showcase for her unique talent, and will be a must-have for anyone who was, and still is, a fan, as well as the many enthusiasts who like to have definitive collections of the iconic artists of the post-war era.